The Community of Madrid is a Spanish autonomous community located in the center of the Iberian Peninsula. 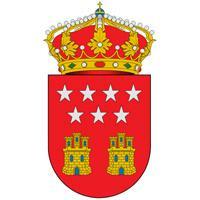 The Community of Madrid has only one province, so there is therefore no council. Its capital, Madrid, is also the capital of Spain. The President of the Community of Madrid is elected every four years by the Assembly of Madrid, after holding autonomous and municipal elections in the community. Who do you think is the best candidate for mayor of Fuenlabrada?